An application is made up of a series of activity screens. These are strung together with intents to start up the next activity. Activities are build of views and fragments. Fragments are built from views. 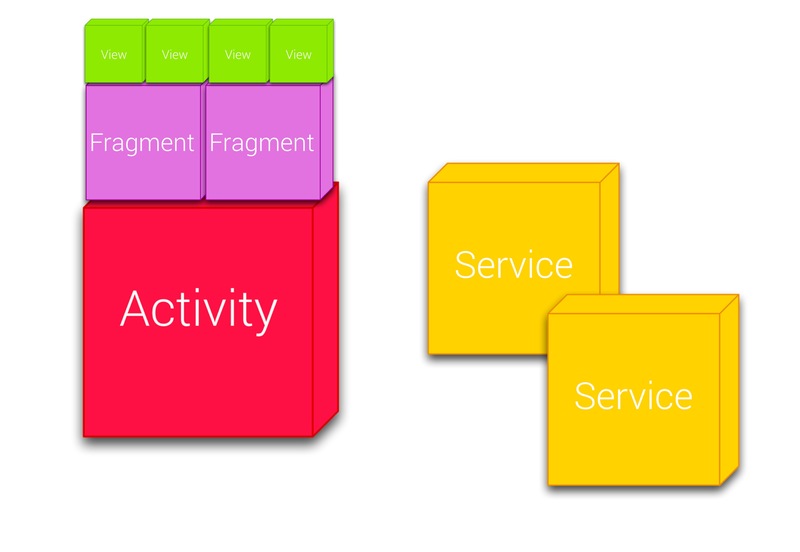 Activities are the major building blocks of your application and are roughly the screens that you see in an application. They use fragments and views to construct the user interface that you see. Activities are the major building blocks of your application and are the presentation layer, or screens you see in an application. Activities are composed of views and fragments and several activities are combined to make an application. From the activity you have access to all the views, resources, system state, and the model. Services are used for long running applications, such as network operations. 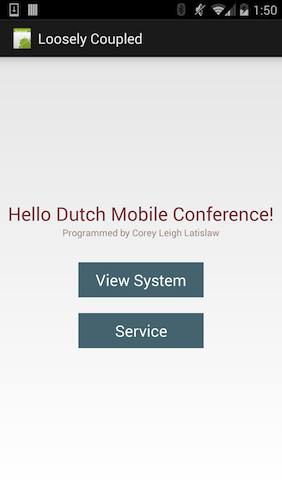 This is an application with text views and buttons. When we click on the button it launches an activity. We'll go over all of these in greater detail in later chapters.